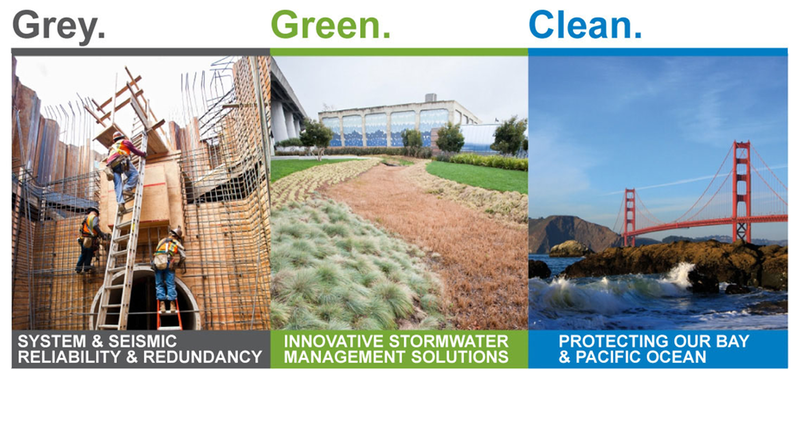 The San Francisco Public Utilities Commission (SFPUC) has embarked on a 20-year improvement program for the City of San Francisco’s stormwater and sanitary sewer systems. Integral to the success of the program is finding the right balance of grey and green infrastructure. Both are essential when developing a sustainable and resilient long-term infrastructure program within a dense urban setting. To that end, an Urban Watershed Approach (UWA) was applied to deliver the goals of the program, while providing economic, social and environmental benefits to the community. As a transparent, quantitative decision-making process that incorporates stakeholder feedback and weighs alternatives based on triple bottom line factors, the UWA represents an innovative and forward-thinking “new way of doing business” for the SFPUC. As part of UWA, Lotus and its team members identified, evaluated, and prioritized green and grey stormwater projects. Water quality and flooding benefits of potential projects were evaluated using a detailed, citywide InfoWorks Integrated Catchment Model. A triple-bottom line tool was developed to assess the multiple benefits of GI. This included quantifying social and environmental benefits, as well as evaluating projects against City goals related to water supply and climate change resiliency. Innovative, multi-faceted outreach--such as an award-winning watershed planning game, design charrettes, and iPad surveys--helped educate and integrate a diverse array of stakeholders.